You can book places on any of our courses using the list below, or go to the detailed course page for more information. Give a friend a Map Reading course as a gift for birthday or Christmas. A 2 day course leading to the Silver National Navigation Award. This course is for people who wish to improve their skills and gain confidence off path and on moorland terrain. The course offers the opportunity to think about and plan strategies. 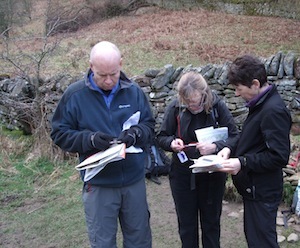 A bespoke day of navigation training, for 1 or 2 people, designed to meet your personal needs. The cost of the NNAS certificate for those who have completed our 2 1 day courses and successfully achieved the standard. A 2 day course leading to the Silver National Navigation Award. This course is for people who wish to improve their skills and gain confidence off path and on moorland terrain. The course starts with the basics, then building on this, offers the opportunity to think about and plan strategies. A personalised course to help you get to grips with using a GPS when walking in the moors and mountains. Give a friend an Intermediate navigation course as a gift for birthday or Christmas. Give a friend a First Steps to Map Reading course as a gift for birthday or Christmas. A 1 day course, which will set you up with the basics of using a map and compass over easy open moorland. A bespoke day of navigation training, for 3 - 4 people, designed to meet your personal needs. 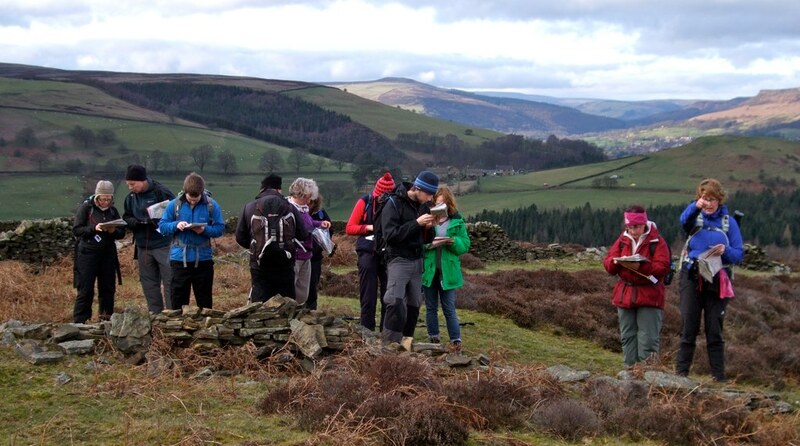 A 2 day & 1 evening course which is designed to prepare candidates for the Gold National Navigation Award. This course is for people who have a good grasp of navigation, and wish to take their navigation skills to the highest level. Join one of our Mountain Walking Holidays in Spain. Quality walking holidays with International Mountain Leaders.